A friend of mine once described the post-semlor feeling as “pleasantly nauseous.” That’s pretty spot on. These monsters are the exception to the typically reasonably sized Swedish pastries. Tied to the fasting tradition of Lent, these cardamom-scented-cream-and-almond-paste-filled-buns-of-excess are most commonly available from the official end of the Christmas season (tjugondag Knut on January 13th) and are omnipresent until Easter. Sweden left its Catholic history behind long ago with The Reformation in the 16th century yet some traditions linger on. And despite the fact that Swedes today are not known as particularly religious, the peak consumption of semlor takes place on Fat Tuesday (fettisdagen). 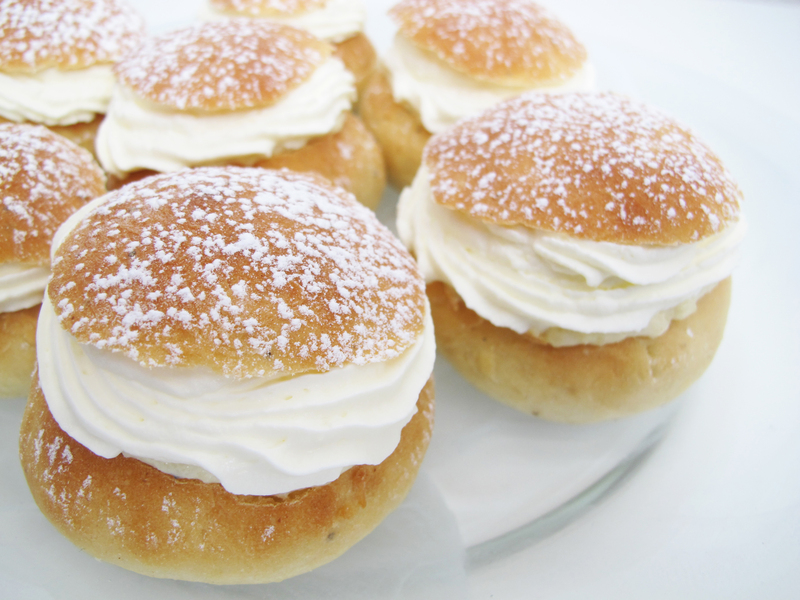 There are variations of semlor (SEHM-lohr is plural, SEHM-la is singular) throughout Scandinavia and in Sweden they go by several different names; semlor in the north, fastlagsbullar (FAST-lawgs-BOOL-lahr) in the south, and hetvägg (HEHT-vehg) if it’s eaten with warm milk and sprinkled with cinnamon. The most modern name is semlor which likely developed out of the Latin word semilia referring to the finest wheat flour. It’s convenient for its lack of a connection to fasting (unlike fastlagsbullar) so bakeries can conceivably sell semlor any time of the year. Hettvägg migrated to Sweden from Germany and was initially a simple wedge or cruciform-shaped wheat bun served in hot milk. 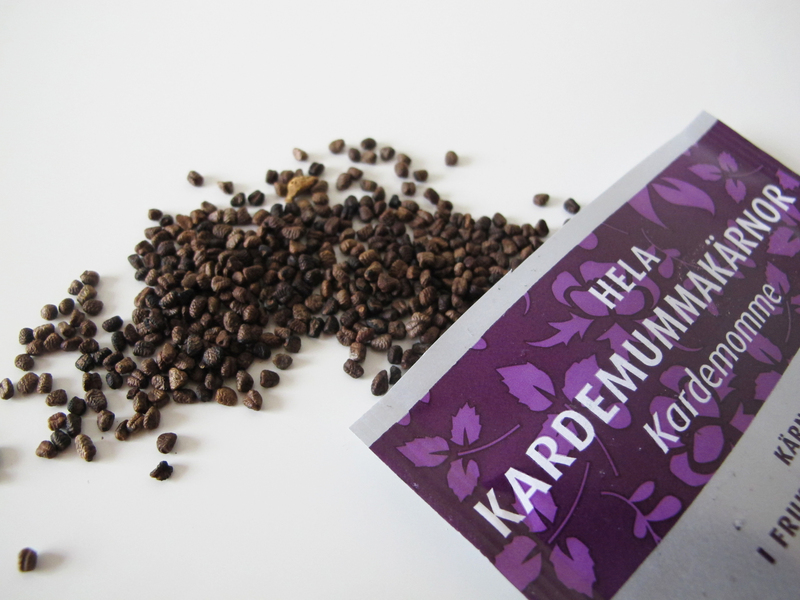 The earliest record of them in Sweden is from a 13th century church painting. 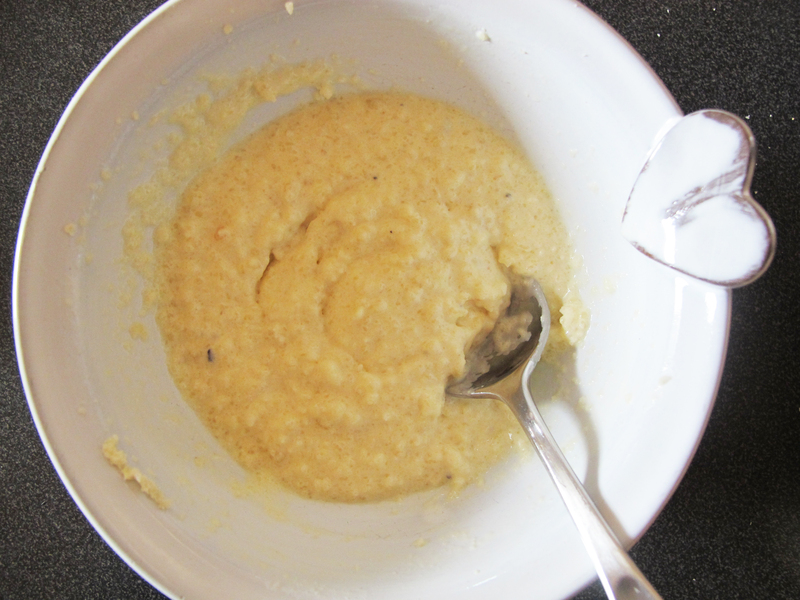 Wheat flour was a luxury which made hetvägg a special occasion dish for Fat Tuesday. By the 1700s they had gained the regular bun form used today with the top lopped off and crumbs scooped out to be replaced by or mixed with a filling. They were still commonly served with or cooked in hot milk. Hetvägg holds a notorious role in Swedish history regarding King Adolf Fredrik. On Fat Tuesday in 1771 the king collapsed and died after eating a meal of lobster, caviar, sauerkraut, smoked herring, champagne, and 14 servings of hetvägg, his favorite dessert. There is NO WAY those 14 servings could be as big as the semlor that are common today. I can’t imagine that would be humanly possible to consume after that meal. But then again, the man died so maybe they were that big. 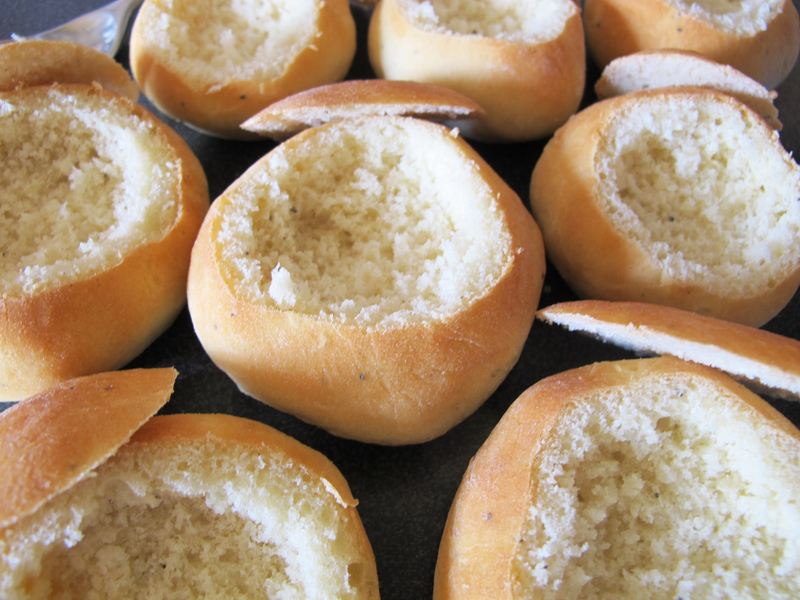 Hettväg buns were available in Swedish bakeries 200 years ago. During the 1800s the name fastlagsbullar developed and the earliest recorded use of almond paste as a filling is from 1833. The cream-filled form became common after WWI supposedly when a baker on the island of Gotland celebrated the end of the war and rationing hardship by lavishly filling semlor with cream. That tradition continues to dominate the world of Swedish semlor. I’ve tried the hettvägg version swimming in hot milk and sprinkled with cinnamon but I much prefer semlor minus the milk. Taking off the “lid” and sinking your teeth through the fluffy layer of cream, down through the gooey almond paste mix to the soft, sweet bun at the base really does feel indulgent. Admittedly my way is not very Swedish because it’s rather uncommon here to eat anything with your hands, but I wouldn’t want to eat a semla any other way. Annually each Swede eats an estimated 5 semlor purchased from bakeries and untold amounts of homemade versions. Although you can find mini semlor at bakeries the most common size is large (8-9cm or 3-3.5 inch diameter). They can really be overwhelming so many home bakers tend to scale down the size and today eating them doused with hot milk is increasingly uncommon. In the end whether you make semlor the size of a golf ball or a soccer ball, by the time you dust them with powdered sugar you’ll have something impressive to share with your family and friends on Fat Tuesday (maybe next year as I was a little behind on this post) or any other day you choose to celebrate with indulgence. 1. Melt the butter in a saucepan over medium heat. Add the milk and heat until just warm to the touch or 98°F (37°C). Remove from the heat. 2. Crumble the yeast into a small bowl and pour some of the warm butter and milk mixture over it stirring until the yeast is dissolved. Combine the salt, sugar, egg, cardamom and most of the flour in a large bowl along with the yeast and rest of the milk mixture. Work the dough until it is sticky, but doesn’t stick to your hands, using the minimum amount of flour possible. Let the dough rise covered with a kitchen towel about 20-30 minutes. 3. Place the dough on a lightly floured surface and knead until smooth adding flour as needed if the dough is too sticky but keep the addition of flour to the bare minimum. Line two baking sheets with parchment paper. Work the dough into balls of the desired size (keeping in mind they will get larger as they rise and as they bake) and place on the baking sheet. Continue until all the buns are formed and let rise, covered with a kitchen towel, 30-40 minutes (use the longer time for smaller buns). Meanwhile, preheat the oven to 390-435°F (200-225°C). Use the higher temperature for smaller buns. 4. Bake large buns in the lower part of the oven at 390°F (200°C) for 20-25 minutes. 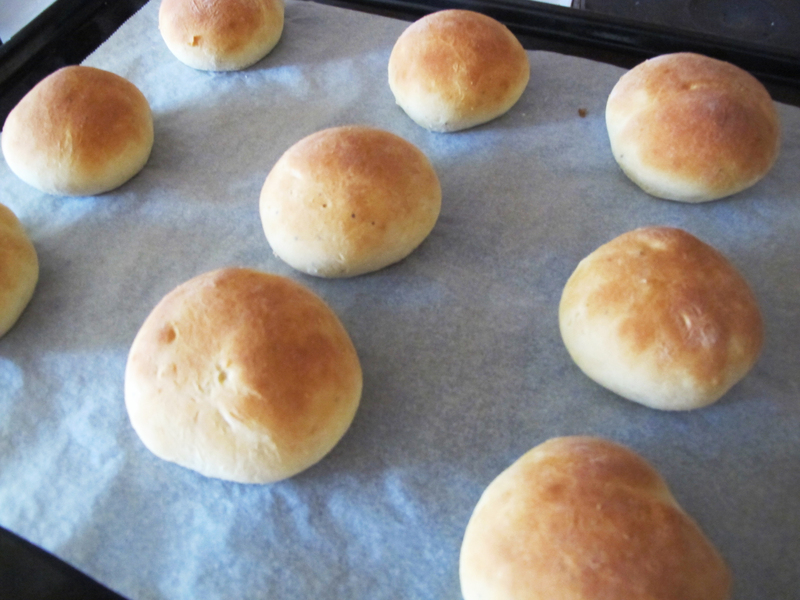 Bake smaller buns in the middle of the oven at 435°F (225°C) for 7-10 minutes. When they are nicely browned remove them and let cool completely under a kitchen towel. The buns dry out quickly so once they have cooled to room temperature place them in an airtight container. If they dry out too much, you can wrap them in a damp kitchen towel and heat in the microwave for a few seconds. Keep an eye on the towel so it doesn’t catch on fire. The buns freeze really well so you can enjoy them for a longer period of time. Just thaw them out before continuing with the next steps of removing the lid and filling them. 5. Slice a thin portion off the top of each bun and set aside. Using a fork, tease out a small layer of crumbs from each bun and reserve them in a bowl. 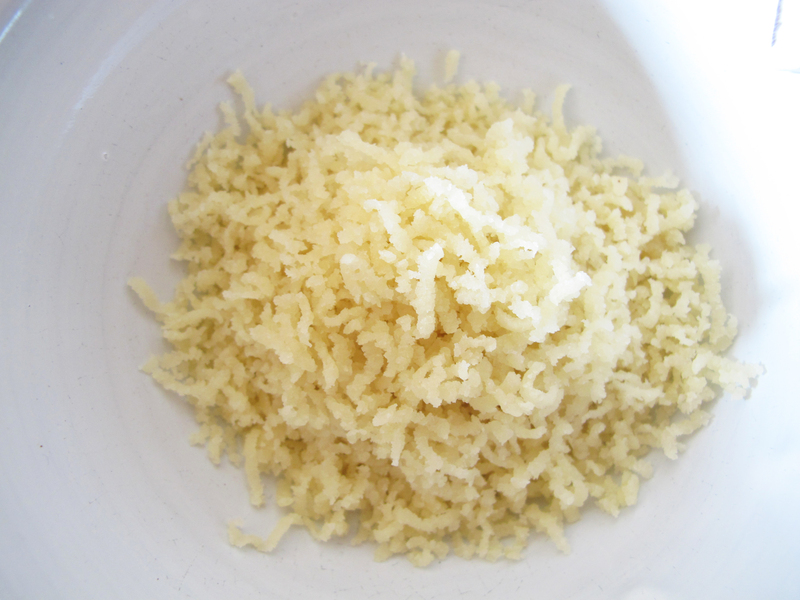 Grate the almond paste using the small side of a grater and combine it with the reserved crumbs and the 1/2 cup (120ml) of milk. Blend everything well until it forms a thick paste. Using a metal spoon helps with being able to blend and mash everything well. It should be thick enough that it won’t run down the sides of the finished semlor. 6. Place enough of the filling in each hollowed bun so it comes to the edge without going over the side. 7. 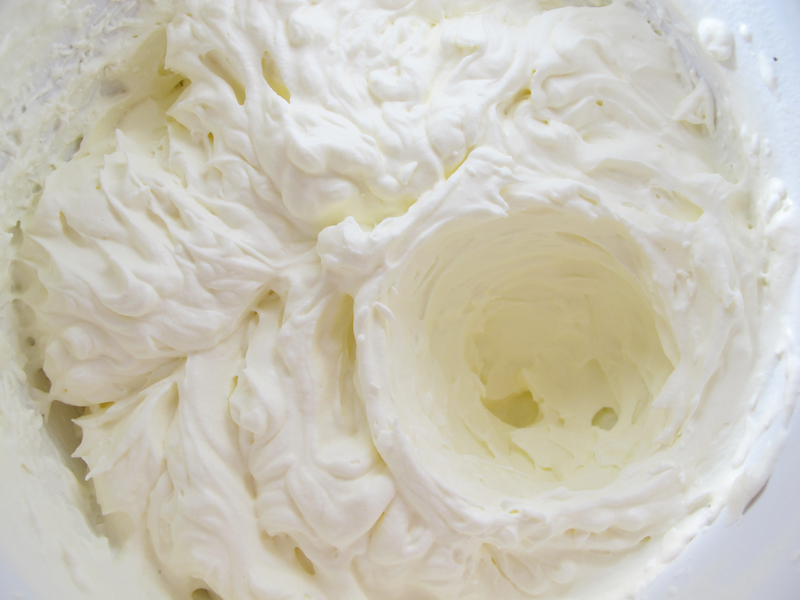 Whip the cream until very stiff. 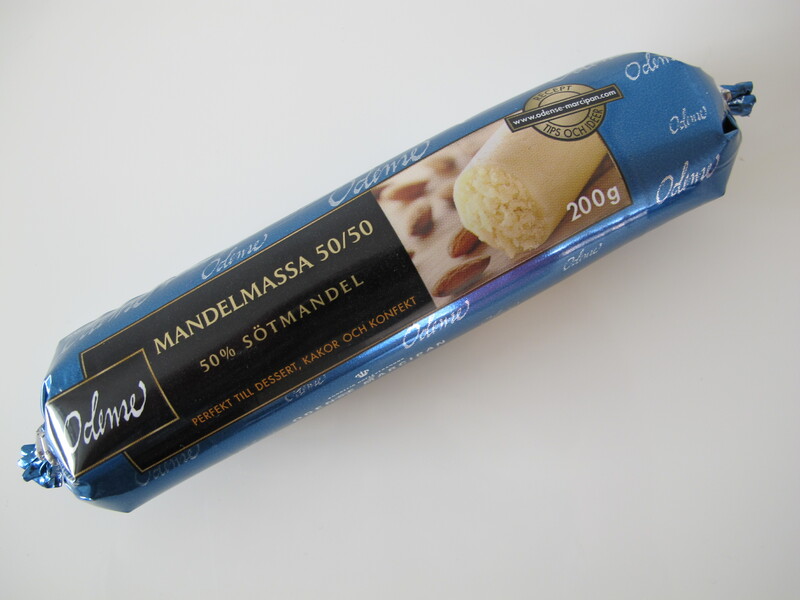 Pipe or spoon the cream over the top of the almond paste filling creating a large mound. 8. Place the lids of the buns on top of the cream and dust them with powdered sugar. If not serving them immediately, wait to dust them with the powdered sugar until ready to serve and keep them covered and refrigerated. They are best eaten on the day they are filled. Ideally within a couple of hours. To try the hetvägg version, place a finished semla in a bowl and pour hot milk either over the bun or around the base. 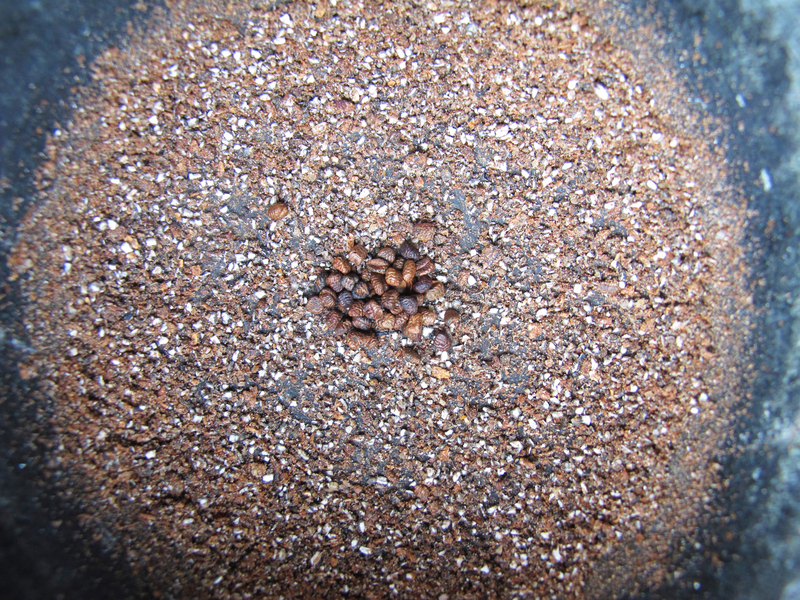 Dust with cinnamon and enjoy. Hurray! Been waiting on this post. Thanks Little Sister!!!!!!! I’ll have to let Curtis know these are on the future menu. Sorry it took me so long to get the post up, and to reply! Did you make them? These. Are. Gorgeous. And they make me think of my mum, as her idea of heaven is a pastry filled with creamy goodness. YUM!